What does it mean if Microsoft buys Obsidian? One of the best RPG studios is apparently about to bought by Microsoft - is this a blessing or the death of Obsidian? Obsidian is one of the most beloved studios in PC gaming. Considered the torch carrier for classic RPGs during a long decade when the genre seemed dead or altered beyond recognition, it has since led the vanguard of the post-Kickstarter RPG resurgence. Since Pillars of Eternity, Obsidian has jettisoned its reputation for bugs and appeared steadfastly independent – in a time when peers like BioWare have long since been folded into the corporate structure of major publishers. If you buy an Obsidian game you know that it’ll be reactive, superbly written, and punching above its weight in production value. Which is why it was such a shock to hear the rumour that Microsoft might be buying out the company from its perpetual council of co-founders. Could it be true? And if it was, what would it mean for the sharp, distinct games we’ve come to expect from Obsidian? These are the questions we sat down our most seasoned RPG rangers to ponder. Jeremy: Matt. Maaaatt. I don’t know how to feel about this. Do you? Matt: Yes. Worried. And excited. And worried again. Oh, bobbins, apparently we feel the same. Let’s start with what will almost certainly happen. 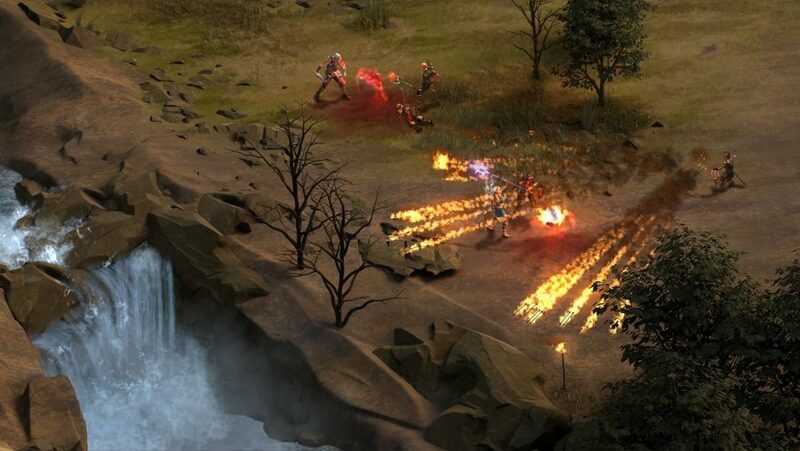 Obsidian’s days of isometric games are over. 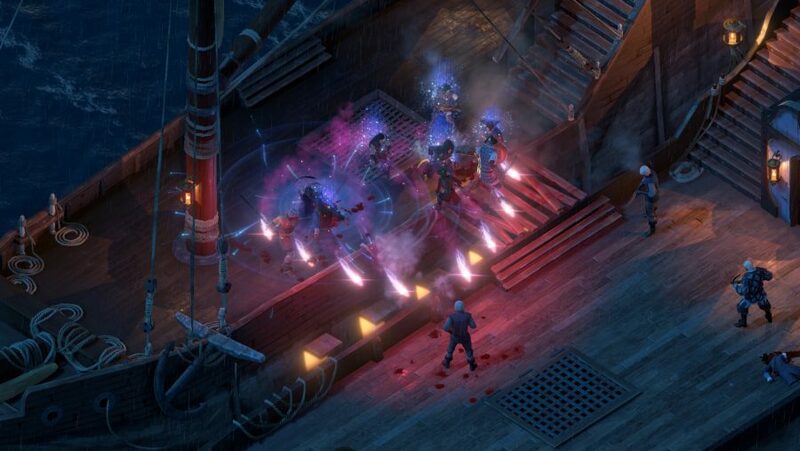 Yes, Pillars of Eternity has been ported to Xbox One, but the old-school RPG is a niche genre, primarily crowdfunded by people like us: nerds with endless nostalgia for the days of Baldur’s Gate. Microsoft is in dire need of massive triple-A games to promote the Xbox and Windows gaming platforms, and that’s almost certainly what it’ll set Obsidian to work on. And while I’m sure the studio will make something brilliant, it won’t be a weird, experimental curio for the traditional D&D crowd. Jeremy: Yeah, it’s hard to imagine Phil Spencer introducing Tyranny on the E3 stage – though I’d love to see him read “Voices of Nerat, Archon of Secrets” off a teleprompter. What immediately springs to mind instead is Stormlands, the Xbox One exclusive Obsidian was working on to show off Microsoft’s cloud – a triple-A RPG comparable to The Witcher, only with conceptually ambitious “million-man raids” that would connect players together for climactic fights. That’s the kind of thing that’s clearly outside Obsidian’s scope as an independent. The ‘biggest’ games the studio has worked on would be Knights of the Old Republic 2 and Fallout: New Vegas – and both were only made possible by engines other developers had already invested in. There’s always been a sense that Obsidian’s most sprawling, 3D games were curtailed just short of their ambition. Perhaps an owner with the funds and the patience to see a game on that scale through would mean seeing a side to Obsidian it’s never been able to fully express before. Matt: It’s actually the likes of New Vegas and KOTOR 2 that give me faith in this potential buyout working out for them. Yes, I’m sure Bethesda and EA limited what the studio could do in the name of mass appeal, but those games are peak Obsidian: they’re strange, they’re experimental, and they became the high points of their respective franchises. Even with stricter parameters and investors to answer to, Obsidian finds a way to make something that’s fresh and invigorates the genre. With everything its designers have learnt about reactivity during the development of the Pillars games, it’s hard not to be excited about what they can make on a mahoosive budget. Because that’s what Microsoft will want from them, right? Jeremy: Yeah, you can only assume Microsoft might be considering Obsidian precisely for its unique character, hoping that same personality will translate to larger games just as it did for Lionhead and Fable. But it’s also impossible to talk about Stormlands and Lionhead without acknowledging some of the less optimistic history. Although Microsoft came to Obsidian with the proposal for Stormlands and a bag full of money, its executives also threw about impossible dreams for cloud play, and later cancelled the whole thing. Lionhead, meanwhile, was tasked in its latter years with building games that showed off Microsoft’s tech obsessions, rather than those that played to the studio’s greatest strengths. It’d be a genuine tragedy to see Obsidian crippled by strange mandates or, worse, brought down by distant management decisions. Matt: Absolutely, and let’s not forget that Lionhead and Obsidian aren’t the only ones that have suffered at the hands of Microsoft’s flailing games division. Remedy produced a duff with the cross-media focused Quantum Break, Scalebound was deleted from under Platinum’s nose, and who knows what’s been going on in the offices of Crackdown 3 developer Sumo Digital. Rich: Microsoft has seemingly learned its lesson since its heavy-handed Lionhead days: apparently it was pretty hands-off on Sea of Thieves and Ninja Theory has had nothing but praise for the levels of support and independence it’s been promised. It sounds similar to the way Sony treats its first-party studios, which would seem a sensible approach to emulate given the astonishing array of exclusives PlayStation 4 has and how soundly it’s won this console generation (as any unbiased observer would concede). Matt: Microsoft is in a bad place at the moment, and its many attempts to outmanoeuvre Sony with new tech approaches has crippled or outright destroyed its studios. But with its recent high-profile acquisitions, it appears that Microsoft’s new approach is refreshingly simple: just make good games. If Microsoft is willing to place trust in studios like Obsidian then we could witness the studio firing on all cylinders for the next generation. It’s not hard to imagine it making an open-world RPG that could replace The Witcher 3 as the genre’s benchmark. And if that means leaving the isometric roleplaying genre ball entirely in Larian’s court… well, I’m perfectly fine with that. Jeremy: I’ll be sorry not to see a sequel to Tyranny, but let’s be honest, it’s probably not coming anyway. Obsidian’s existence has been typified by one-offs it wasn’t given the opportunity to follow up, which leads to maybe the greatest advantage it can gain through a Microsoft acquisition – security. Right now, Obsidian is a contractor, pitching publishers – or players, through Fig and Kickstarter – to win big advances so it can keep the studio running. Its unrivalled reputation in the RPG genre means nothing if CEO Feargus Urquhart is unable to find that next project – any month the studio is without funding is one in which its developers burn through cash in its California office, threatening its future. 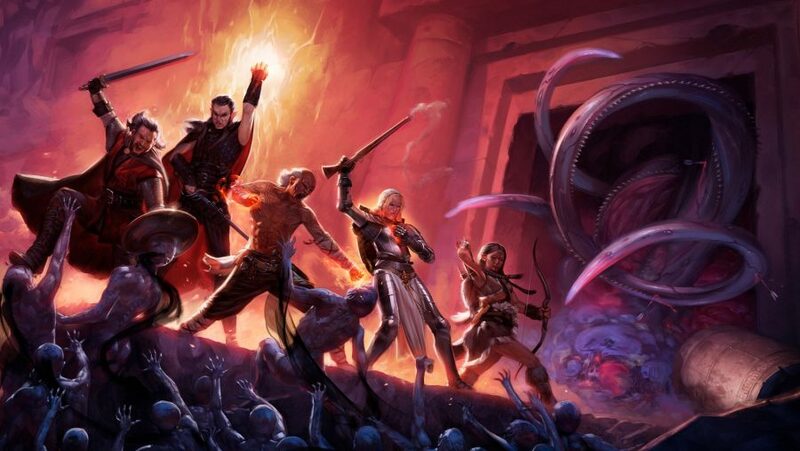 Obsidian is only ever one big cancellation away from disaster – as it found in 2012, when Pillars of Eternity narrowly saved the day. It’s an exhausting, uncertain existence, and my god must it be stressful. To pass that great weight onto somebody else must be a very appealing prospect indeed. Rich: Obsidian has been struggling financially, routinely having to rely on crowdfunding to get its games over the finish line. That’s unhealthy both for the studio’s creative ambitions and the wellbeing of its staff. 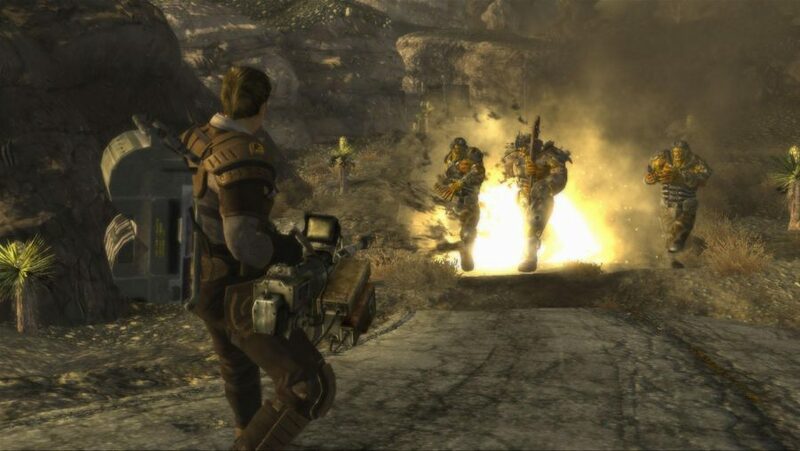 Provided we don’t have to worry about Microsoft’s executives getting in the way – and I don’t think we do – this acquisition should mean Obsidian’s future is secure and its games can be even more ambitious and exciting. Maybe it’s all the horrible recent studio closures and talented staff being suddenly sacked, but I’m actually pretty happy about this, on reflection. I’m only a little anxious about whether Obsidian has effectively just become a triple-A studio, and if so, what happens in the transition. Even with all the goodwill in the world from Microsoft, being a bigger, richer, more confident studio is bound to change things somehow.